We’d love your help. 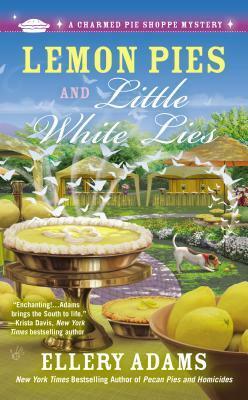 Let us know what’s wrong with this preview of Lemon Pies and Little White Lies by Ellery Adams. From the New York Times bestselling author of the Books by the Bay series and the Book Retreat mysteries--Includes pie recipes! Ella Mae LeFaye’s Charmed Pie Shoppe has become a phenomenon beyond her wildest dreams, providing the enchanted town of Havenwood, From the New York Times bestselling author of the Books by the Bay series and the Book Retreat mysteries--Includes pie recipes! To ask other readers questions about Lemon Pies and Little White Lies, please sign up. One of my online book clubs picked this book for our discussion a little later this month, so I wanted to make sure I was ready. Normally I wouldn't start in the middle of a series like this, but I had no problems catching up as to what was going on. As with all of the Ellery Adams books I've read, this one also stressed love of family and friends, doing good things for them and cherishing them. It's an ongoing theme and I think it's what endears readers to the characters in all her books. There One of my online book clubs picked this book for our discussion a little later this month, so I wanted to make sure I was ready. Normally I wouldn't start in the middle of a series like this, but I had no problems catching up as to what was going on. As with all of the Ellery Adams books I've read, this one also stressed love of family and friends, doing good things for them and cherishing them. It's an ongoing theme and I think it's what endears readers to the characters in all her books. There was a bad storm brewing in Scotland, but all the magical folks in Havenwood GA knew it would just be a matter of time before it reached them. And it wasn't just an average storm, it was being caused by a very vindictive and power-hungry magical woman named Nimue who believed she should be Clover Queen instead of Ella Mae. The storm couldn't have been coming at a worse time since there was going to be a huge bake-off in Havenwood sponsored by The Charmed Pie Shoppe. People from all over the country would be coming, many of them would be magical folks. There had been two murders in town as well. Nimue had to have minions working for them, but who were they? Lemon Pies and Little White Lies is the fourth book in The Charmed Pie Shoppe series. I love all of Ellery Adams' books and this is another example of her excellent story telling. A very exciting story with a few surprises and a wonderful gathering of characters. Ella Mae's attention is not totally on the pie shoppe, but with her being the chairwoman of the Havenwood's Founder Day that's just around the corner, she needs to try put the fact that Hugh Dylan is off trying to regain his powers. A par Lemon Pies and Little White Lies is the fourth book in The Charmed Pie Shoppe series. Ella Mae's attention is not totally on the pie shoppe, but with her being the chairwoman of the Havenwood's Founder Day that's just around the corner, she needs to try put the fact that Hugh Dylan is off trying to regain his powers. A part of Havenwood Founders Day celebration, will the gathering of magical people to work together to break an age old curse. With being acknowledged as the Clover Queen, it will be Ella Mae's responsibility to make this happen. As the final touches are being done on the celebration, a powerful storm has developed over the Atlantic and is headed for Scotland, and Ella Mae and her mom and aunts notice that the radar of the storm show a cloud formation in the shape of cloverleaf, they fear that Nimue, another magic person that claims to be the Clover Queen and who is a water element, is responsible for this potentially devastating storm. Ella Mae decides to visit with Mrs. Drever, who daughter lives in Scotland, to see if she has heard from her daughter. But, arriving at Mrs. Drever home she and her best friend, Reba, find that she is not there and discover the body of Joyce Mercer in the bathtub, dead. In time they also find the drawing of cloverleaf and are sure that Nimue had a hand in her death. Soon Ella Mae's Aunt Dee is trapped in her barn that has been set afire by someone unknown. Fortunately Ella Mae was able to get to her aunt before the fire consumed both the barn and Aunt Dee. With the help of her mother and aunts, along with Reba, Suzy, Jenny and Aiden Upton they set out to find the killer of Joyce Mercer and gather support of the magic people who are in town, in hopes of bringing Nimue under control. Another wonderfully told story with a great group of characters and Chewy, too. Definitely looking forward to the next book in this exciting series. Ella Mae is the head of the Elders council which consists of her friends & family which all have magical powers in one area or another. Ella Mae loves to put her emotions into her pies. The magical powers are for good, not bad as Ella Mae & her family & friends need to use them. There's a series of "problems" that begin occurring around what we would call St Patrick's Day. There's a big storm brewing in Scotland & the eye of the storm is shaped like a 4-leaf clover. This begins her magical journeys in this book. There's more adventures & even a murderer she must try to stop!! All the adventures leave behind a symbol which is personal to Ella Mae but she's determined to find who is doing these things & stopping them before tragedies strike!! Author Ellery Adams casts a magical spell with this fourth installment of her Charmed Pie Shoppe Mystery series! It’s always charming to spend time with Ella Mae and her family. You never know what’s going to happen next. That sure held true for what I believe to be the best book so far in this sensational series! Things really heated up in this sweet mystery and I’m not just talking pies! With more than just one unexplained death, LEMON PIES AND LITTLE WHITE LIES had my head spinning and my heart Author Ellery Adams casts a magical spell with this fourth installment of her Charmed Pie Shoppe Mystery series! Things really heated up in this sweet mystery and I’m not just talking pies! With more than just one unexplained death, LEMON PIES AND LITTLE WHITE LIES had my head spinning and my heart racing as I devoured this delectable story. Trust me when I tell you, this book will not leave a sour taste, but will delight all of your senses! And don’t forget to check out the amazing pie recipes that are included! I had several reasons for wanting to read Lemon Pies and Little White Lies. One reason was because I loved the cover. The second reason was because the word “pie” is in the title. I mean a cozy mystery about a pie baker, come on. Unfortunately, the story and I did not mix well together. But that is definitely NOT the story’s fault or Ellery Adams’ fault. The blame is squarely on me. Lemon Pies and Little White Lies is the fourth book in the Charmed Pie Shoppe Series. However, this is the first book I’ve read in the series. The books aren’t standalones, at least not this one. Events from past books are mentioned and play a role in this story. For that, I was confused most of the time, trying to figure out what I missed previously. Setting aside my confusion, I can say that I enjoyed this story. It definitely wasn’t what I expected the story to be. I expected your typical cozy mystery, where a lady owns a bake shoppe and stumbles upon a murder and insists that she can solve the crime better than the police. 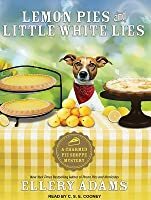 Lemon Pies and Little White Lies is different because it mixes the cozy mystery I was expecting with fantasy that I wasn’t expecting. The protagonist, Ella Mae LeFaye and her family and friends are magical. They each have unique powers, which I assume were discussed in previous books. This installment of the series focuses on the magical part of Havenwood, Georgia; thus adding to my confusion. Havenwood gets rocked with unexpected deaths. And the killer is leaving a calling card. Added to that mystery are several storms of unprecedented size and strength, wreaking havoc on the homeland of Ella Mae’s ancestors. Before all is said and done, alliances will be formed and Havenwood and Ella Mae will never be the same. I truly believe readers of this series will love this latest installment. The characters are funny and interesting. Ellery Adams has written an intriguingly, wonderful story that shows what family, friendship, and leadership is all about. Even while suffering a broken heart, Ella Mae puts her feelings aside in order to do what she needs to do for those who put their loyalty and trust in her. I definitely recommend reading the previous three books (Pies and Prejudice, Peach Pies and Alibis, and Pecan Pies and Homicides) before reading Lemon Pies and Little White Lies. I have no doubt that I would have enjoyed the story more if I did that myself. I finished this book and just said WOW! 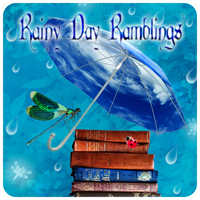 These books are not just cozy mysteries about a pie baking sleuth, they are magical, fantasy, cozy mysteries featuring an amazing pie baking sleuth! Ella Mae faces her biggest task yet and so many people are counting on her to come through for them. At the same time she is terribly distracted dealing with her boyfriend’s absence. When people start dying and other crimes are all seem to link to Ella Mae she knows it is up to her to set things right and protect all the people she cares about. Ellery Adams takes on a journey that will leave you breathless. Drama ensues all the way from Georgia to Scotland and many places in between. Fantasy soars in this story and escaping into is happens so easily. There are many details to catch so slow down so you catch every slice. I have said this before, this series needs to be read in order to follow the progression of the characters to be fully enjoyed. Unlike some series stories you can pick up any of them and get caught up. That is not the case with this series. You need to read these books in order. Start with Pies and Prejudice, then Peach Pies and Alibis, then Pecan Pies and Homicides and the Lemon Pies and Little White Lies. Oh yes, don’t forget the pies, the recipes are in the back of the book and the descriptions in the story will have your tummy rumbling for pie, in fact pie has become the favorite dessert in our house and we all say “there is always room for pie”. I am so anxiously awaiting for the next story in this series. I can only imagine where the author will take us next! Step into Ella Mae LeFaye's world and your stepping into something magical. She is the proprietor of The Charmed Pie Shoppe. What is so magical about Ella Mae's world, you ask? She has these magical powers that let her bake her feelings into her pies therefore anyone that eats them will be captured with the pies emotional powers. She is the leader of this magical land in Havenwood where she and her family are from and all over the world. With the murder of a friend of a friend named Mrs. Mercer a Step into Ella Mae LeFaye's world and your stepping into something magical. She is the proprietor of The Charmed Pie Shoppe. What is so magical about Ella Mae's world, you ask? She has these magical powers that let her bake her feelings into her pies therefore anyone that eats them will be captured with the pies emotional powers. She is the leader of this magical land in Havenwood where she and her family are from and all over the world. With the murder of a friend of a friend named Mrs. Mercer and a looming powerful and life threatening storm in Scotland. More suspicions arise when the eye of the storm is in the shape of a four leaf clover the same shape as a burn on Ella Mae. Ella Mae and a new friend, the son of Joyce Mercer rush to save her aunts barn from fire and possibly her aunts life. Not far from her mind is Hugh Dylan, the love of her life who went off to find himself and his hidden powers. Ella Mae must put her feelings for Hugh on the back burner to try to figure out how to find a murderer an save her family and her people for for what it seems is certain destruction. Ella Mae's powers are certainly enchanting. If only all of us could bake our feelings into a pie or any other food we loved and freeze it would be something truly magical. That's one of the things I love about Ella Mae, that and her love for food, HGTV and The Food Network. Her aunt's powers of making sculptures of animals to help owners with their grief and her love story is tear worthy. Book five in the Charmed Pie Shoppe Mystery series comes out in just a couple of weeks, so I needed to get caught up by reading book four. This sweet series is part culinary cozy mystery and part Urban Fantasy light. LEMON PIES AND LITTLE WHITE LIES was an enjoyable continuation of the series, with Ella Mae balancing her duties as leader of the magical community and owner of a popular pie shop. The world-building in this series is impressive, with all the magic practitioners and an ancient curse Book five in the Charmed Pie Shoppe Mystery series comes out in just a couple of weeks, so I needed to get caught up by reading book four. This sweet series is part culinary cozy mystery and part Urban Fantasy light. LEMON PIES AND LITTLE WHITE LIES was an enjoyable continuation of the series, with Ella Mae balancing her duties as leader of the magical community and owner of a popular pie shop. The world-building in this series is impressive, with all the magic practitioners and an ancient curse going back to the time of Merlin. The baddie in this book was particularly evil, putting Ella Mae's powers to the test. I don't think the murder mystery in this book was as strong as the earlier ones, as it seemed to get lost in everything else that was going on, though the conclusion was very exciting. Also, I still haven't decided how I feel about her romance with Hugh. He wasn't my favorite in this book. This is the fourth book in the Charmed Pie Shoppe Series. Once again Ellery Adams has written a wonderfully told story full of detail, emotion and surprises. Ella Mae has the Magic to change how people feel with her pies. She also has a colorful family when it comes to her aunts. A family full of love and that in itself is magic. Ella Mae is about to face a big challenge, thanks to her nemesis Nimue. Hugh is gone to search for a way to regain his powers. There is a new man in town, with Hugh gone This is the fourth book in the Charmed Pie Shoppe Series. Once again Ellery Adams has written a wonderfully told story full of detail, emotion and surprises. Ella Mae is about to face a big challenge, thanks to her nemesis Nimue. Hugh is gone to search for a way to regain his powers. There is a new man in town, with Hugh gone could Ella Mae find a new boyfriend. The story just keeps you guessing and you will laugh, cry, and feel the happiness if you let yourself. I’ve said it before and I’ll say it again. This is one of my favorite series of all. Ellery Adams brings out more emotion in her writing than should be allowed. There are laughs, shouts of anger, tears of sadness and tears of happiness in her books. That in itself is the magic in them if you let yourself feel it. The recipes in the back of the book all sound so good, I want to rush to my kitchen and make them. Unfortunately, I’m not a baker so I won’t insult her writing with my sad attempt to re I’ve said it before and I’ll say it again. This is one of my favorite series of all. Ellery Adams brings out more emotion in her writing than should be allowed. There are laughs, shouts of anger, tears of sadness and tears of happiness in her books. That in itself is the magic in them if you let yourself feel it. The recipes in the back of the book all sound so good, I want to rush to my kitchen and make them. Unfortunately, I’m not a baker so I won’t insult her writing with my sad attempt to remake her recipes. If it were possible, I would give each book in this series way more than 5 stars, but since that’s the max, that’s what I will do. Ella Mae has settled back into her quiet life in Havenwood where she runs the Charmed Pie Shoppe. Ella has returned to baking pies after she rescued her mother and found out she was the foretold Clover Queen. She is happy in her bake shop, and she continues to love baking magical pies and treats for the townsfolk. Unfortunately, her heart aches for Hugh Dylan, the man she has loved her whole life. Hugh left town, and he isn't returning her calls. Then a couple of mysterious deaths occur followed Ella Mae has settled back into her quiet life in Havenwood where she runs the Charmed Pie Shoppe. Ella has returned to baking pies after she rescued her mother and found out she was the foretold Clover Queen. She is happy in her bake shop, and she continues to love baking magical pies and treats for the townsfolk. Unfortunately, her heart aches for Hugh Dylan, the man she has loved her whole life. Hugh left town, and he isn't returning her calls. Then a couple of mysterious deaths occur followed by a monstrous storm hitting the coast of Scotland. Ella Mae learns that these events are connected, and that the person behind them is out to get Ella Mae. Will Ella Mae be able to protect her home and the people she loves from this new menace? *I adore a good cozy mystery from time to time, and I have to admit, the Charmed Pie Shoppe Mysteries are some of favorites because this series blends all that I love in a good cozy: small, hometown setting, delectable foods, quirky characters and charm with supernatural elements. I love that I get magic and paranormal in a cozy. This is definitely a fun, unique series in the cozy genre with something for everyone. *I still can't get enough of the Charmed Pie Shoppe and all of its yummy treats. I love spending time in the shop with Ella Mae and the gang while she cooks up mouthwatering treats. There are plenty of interesting magical and supernatural elements in this book. It borrows heavily on the lore of Merlin, the Lady of the Lake, King Arthur's sword and other mythical legends. I enjoyed uncovering the mysteries and the magic. *I appreciated that the plot of this book was so much more than your average cozy mystery. Yes, there are murders, but they aren't the petty murders you usually find in books in this genre. Instead the murders tie into an overall diabolical plot with super natural roots. I was rather shocked when I learned who was behind the murders and why. *I continue to love the characters and the strong focus on family and friends. Ella Mae finds herself surrounded and protected by the love from her mother and her aunts but also her friends. I enjoy all the characters and their unique talents and personalities. Reba happens to be my favorite. *There is a strong focus on magic once again. I liked seeing Ella Mae's magic continue to grow and evolve as she discovers new talents. Her magic extends beyond her charmed pies. *The ending draws to a nice close. No cliffhangers or big unanswered questions. Yes, there are still a few things to follow up on in the next book, but nothing that will haunt you. *Finally, there are pie recipes! How can you beat that? This one includes tantalizing recipes for Peach Blackberry Tart, Leprechaun Pie, Sunshine Lemon Pie and Strawberry Muffin Pan Pies. *The romance becomes muddled once again, which was frustrating. I was not a fan of Hugh, and I was hoping Ella Mae would move on. I thought a love triangle was in the works, but it didn't happen. At this point, the romance is still working itself out. It is definitely not my favorite part of the series. *I was hoping the mean girl theme would finally die out, but no, it rears its ugly head again. At least there is hope that it will come to an end soon. *The ending felt a touch rushed in comparison to the rest of the story. A lot goes down in those final pages, and I wished that there had been a bit more explanation. Lemon Pies and Little White Lies is an excellent read. I love that this series blends all that you love in a good cozy with a touch of supernatural. If you want an interesting story with magic and charm as well as family, friends and pie, this is one to check out. I can't wait to read more. Somehow, I missed Ellery Adams' latest Charmed Pie Shoppe mystery when it came out a few months ago. If any series of cozy mysteries has a cast of strong females, it's this one. Time and again, Ella Mae LaFaye, her mother and aunts must face the evil in the world. This time, it's a haunting figure from literature's past who threatens the safety of the world in Lemon Pies and Little White Lies. All Ella Mae really wants to do is bake pies that will bring a little magic into someone's life. But, no Somehow, I missed Ellery Adams' latest Charmed Pie Shoppe mystery when it came out a few months ago. If any series of cozy mysteries has a cast of strong females, it's this one. Time and again, Ella Mae LaFaye, her mother and aunts must face the evil in the world. This time, it's a haunting figure from literature's past who threatens the safety of the world in Lemon Pies and Little White Lies. All Ella Mae really wants to do is bake pies that will bring a little magic into someone's life. But, now that she's the most powerful woman in Havenwood, she feels an obligation to all the enchanted people who live there, and the ones who came for shelter when they lost their own homes. So, she offers to host the Founder's Day Event with a celebration of pie, its history and its recipes. But, she has to host the event with a smile although her heart is breaking. She hasn't heard from the love of her life, Hugh Dylan, who lost his powers and is traveling. There have been two tragic deaths in town, and at each scene there was a message intended for Ella Mae. And, a woman whose powers seem as strong as Ella Mae's is causing death and destruction throughout the world. Now, she and her supporters are heading toward Havenwood. It will take an unprecedented union of enchanted folk, led by Ella Mae LaFaye, to stop her. Overall Thoughts: The Charmed Pie Shoppe Mysteries are probably one of my favorite cozy mystery series--PERIOD! I really love Ella, her family, and friends. I am not a fan of Hugh which is probably part of the reason this one isn't my favorite in the series. The mystery is strong. The town is delightful as ever. Her love life and the end of the story was the only thing that kept me from rating it higher. However, this series is still way worth the read. It really does rock! This is the fourth book in The Charmed Pie Shoppe series, and it's my favorite of the series so far. Ella Mae seems stronger and more confident this time around. She and her family are always fun to read about, as the stories have humor and romance as well as the mystery. The storyline is fascinating, with lots of historical references. The scene at Mrs. Mercer's funeral was so emotional that it had me in tears. Ella Mae's connection with the butterflies is touching and sweet. I hope to try out s This is the fourth book in The Charmed Pie Shoppe series, and it's my favorite of the series so far. Ella Mae seems stronger and more confident this time around. She and her family are always fun to read about, as the stories have humor and romance as well as the mystery. I hope to try out some of the recipes included at the end of the book--they all sound so delicious!!! What a refreshing book! a mystery with a charmed twist! I did not expect it to be honest - OK, I've read that it is a Charmed Pie Shoppe series - but I did not expect actual fairies in there!!! Beautiful, almost like taken from a fairy tale, storyline, powerful message about what is at the core of ones feelings, about what is the most important thing when one looks into somebody's eyes. AND a mystery to solve. AND a never ceased fight between good and evil. All that as if taken from a fairy tale a What a refreshing book! a mystery with a charmed twist! Book 4 is not the right place to start this excellent series that combines delicious-sounding pies and the world of magic, because it is tied so closely to Book 3. I was very happy to see that there will be a Book5, because I want to know what happens to several people! There really should be a Pie Festival somewhere!Find yourself a copy of Pies and Prejudice (Book 1) and get started on Ella Mae's journey! Ellery Adams has another hit with this fourth book in the Charmed Pie Shoppe Mystery. Ella Mae had a lot to problems to deal with in this book, her boyfriend, keeping her family safe and a deadly storm. This is the first book in the series that made me cry, but then I don't consider it a really good book without a few tears. So all in all I loved it! This series keeps getting better! Full of excitement, humor, emotions and surprises. Looking forward to the next book in the series. OMG! Twists, turns, and I shed a few tears. Love this book, and love the series! great book. I love Ellery Adams's books. This is another great addition to this series. They just keep getting better and better. This book series is one of my favorites. I was captured by every word and along with my tears, at the ending, I pray there will be more tales to tell. USA Today and New York Times bestseller author, Ellery Adams, has written over thirty novels and can’t imagine spending a day away from the keyboard. Ms. Adams, a Native New Yorker, has had a lifelong love affair with stories, food, rescue animals, and large bodies of water. When not working on her next novel, she bakes, gardens, drinks vats of coffee, spoils her three cats, and snacks on black li USA Today and New York Times bestseller author, Ellery Adams, has written over thirty novels and can’t imagine spending a day away from the keyboard. Ms. Adams, a Native New Yorker, has had a lifelong love affair with stories, food, rescue animals, and large bodies of water. When not working on her next novel, she bakes, gardens, drinks vats of coffee, spoils her three cats, and snacks on black licorice. She lives with her husband and two children (aka the Trolls) in North Carolina. Current Series: Secret, Book, & Scone Society (Kensington) Book Retreat Mysteries (Kensington) Books By the Bay Mysteries (Berkley Prime Crime), Charmed Pie Shoppe Mysteries ((Berkley Prime Crime), Molly Appleby Antiques & Collectibles Mysteries (Beyond the Page), and Hope Street Mysteries (Beyond the Page).